At the dawn of the 1960’s, Frank Armstrong had it all: a flash car, smart clothes, a good job with career prospects. With his foot firmly on the corporate ladder, rapid promotion seemed certain. Of course, winning the affections of the Boss’s daughter, Helen, went some way to providing a leg up - but Frank is a man of charm and wit, someone for whom doors will always open. If only he’d realised what he had! Unfortunately, contrary to his carefully manicured persona, Frank has a flawed side to his character, one anchored in a past he can never quite let go of. He has a liking for booze, and a wandering eye – a lethal combination! He makes rash decisions, each one his last – at least that’s what he promises himself. But an apparently well-intentioned act of bravado sets him on a course for disaster, one that will see him losing everything: his wife, his son, his job – his self-respect. Ever the optimist, he plans his way back. But is it too late? With several interconnecting sub plots, the reader will follow Frank’s journey against the backdrop of the emerging recreational drug culture and the attitudes of the time – a time when phone calls were made from call boxes and social networking meant going to the pub. Spiral is a tale of love and betrayal, obsession and addiction, good and evil. Ultimately, it is a story about human fallibilities, self-awakening, and the realities of life at a time very different from the one we live in today. Spiral is a story written for those who lived during the 1960’s, who can remember what is was like, and probably feel a sense of nostalgia for that time. However, a younger generation, for whom the Sixties is a largely unknown and forgotten period, might be curious to know what it was like to live at a time when no one possessed a mobile phone, and social networking meant going to cafés and pubs where people talked face-to-face and not electronically! Set in the early years of the decade in a small coastal town in southern England, the key character, Frank, is introduced as a man ‘on the up.’ A self-made success story, who lives by his wits, the doors to the Promised Land beckoned. He has the car, the smart clothes, the girl – who happens to be his boss’s daughter. With his foot firmly on the corporate ladder, life seemed good, very good indeed. But Frank is far from perfect – he has a fondness for booze and an eye for women. Then, one day, he loses everything and finds himself homeless. Ever the optimist, and acknowledging the ‘wake up’ call, he is determined to win his life back. But is it too late? I lived through the 1960’s, born in the first month of that decade, which is where the story starts. There is a well-known saying: ‘If you can remember the Sixties then you weren’t there.’ My own recollections of sights, sounds, how people talked, what was on the TV – these are all still crystal clear even though it was so long ago. I wanted to record these before their vividness begins to fade – and that was how Spiral evolved. The story, fortunately, is not based on personal experience, although many of the scenes are memorised; for example, I have centred a key part of the story in a lido – remember them? I used to go regularly to the one in Lee-on-Solent (near Portsmouth southern England) – how cold the water was! The emerging recreational drug culture – the justification for the cliché quoted above – is of great interest to me. I studied the ‘Counter-culture’ as part of my degree at Manchester University, which also features in the early part of the story. This is my first novel – hopefully not my last. It took nearly four years to produce from inception to publication. I live in beautiful West Sussex in the south of England but spend a great deal of time in The Middle East where I teach Human Resources and Leadership & Management. Much time away from home provided the opportunity to write. My approach to writing has been structured and systematic, starting with research in how to write a novel. Although an avid reader, I had no idea how much I didn’t know about the writer’s craft. One of the key considerations in writing fiction which I noted very early, is the need to ensure the story creates an emotional reaction. 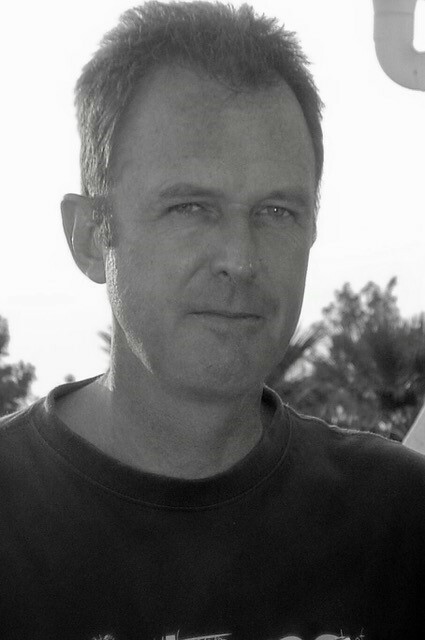 Frank’s behaviour, the key thrust of the story, is intended to do that. There in no intentional underlying moral message – I want the reader to make her/his own mind up about how much Frank is to blame for what happens to him. 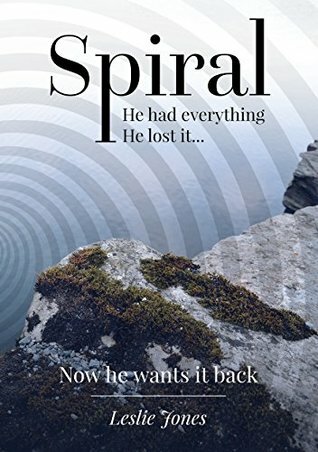 For a free copy of Spiral, offered to readers of this post in the hope you might enjoy the book and provide a review, no matter how brief, click here. Frank squeezes his eyes closed as the familiar intensifying light of the Goblin Teasmade penetrates his eyelids. He knows the persistent buzzing indicating the tea was ready would follow and, his eyes still shut, he leans across and switches off the alarm, avoiding the unwelcome intrusion to his waking moments. A dull throb towards the back of his head reminds him of the "lock in" at the Stag's Head. If only he'd avoided the invitation to stay for one more. Helen is already up and about, he notes with no surprise - she would be downstairs preparing breakfast. He wonders if he's in trouble. Perhaps a tad - after all, he didn't get in 'til 1 pm, and he probably woke her despite his efforts to be quiet. But things were going well - and Helen acknowledged he was working hard to provide a secure and prosperous future for her and Peter. A late night might be forgiven every now and then. After pouring himself a cup of tea, he sits up in bed, reaches for his packet of Rothmans, lights one and lays his aching head back on the pillow. The first drag on his cigarette makes his head spin - but a few sips of over-strong tea helps to calm that down. He smiles contentedly. This was Helen. He imagines her standing at the foot of the stairs, holding a pan of Quakers Porridge Oats, staring impatiently upwards towards their son’s bedroom door. Seconds later, Frank hears the door across the landing banging open followed shortly after by the sound small feet tapping rapidly down the stairs. Peter had roused. Frank grins, knowing his son would be eager to administer the ritual swirling of Tate & Lyles syrup into the grey glutinous mass that represented his breakfast. The smell of cooking bacon drifts upstairs. Despite his hangover, Frank realises he is hungry. He climbs out of bed and lurches uncertainly to the bathroom across the landing. 'Bloody hell it's cold!' he mutters, hoping Helen had lit the fire downstairs. 'Come on Frank, you're going to be late if you don't get a move on!' Helen yells up the stair. Frank studies himself in the mirror as he adjusts his woolen tie, a recent birthday present from Helen. He smiles at his reflection, admiring the "rugged but handsome," Helen's description, face staring back at him. He grabs his tweed jacket from the back of the chair where he had placed it with surprising neatness, given his inebriated state the night before, scoops up his packet of Rothmans and zippo lighter from the bed side table, and heads downstairs. He stares at his empty plate, full only a few minutes ago with bacon, two crisp rashers with rind on, two fried eggs, slightly runny, the way he likes them, a pork chipolata, black pudding and, his favorite: fried bread. 'That was smashing darling, just what the doctor ordered,' he says. He sees that Peter, having demolished his bowl of porridge, is now mashing egg soldiers into his mouth. Frank's good humour vanishes in anticipation of the nagging he thinks he’s about to receive. He fumbles in his pocket for his cigarettes and lights one. Frank leans down and brushes the top of Helen's head with a brief kiss, ruffling Peter's hair as he passes his high chair. Peter grins up at him, his mouth plastered in egg yolk; Frank hopes his son would not insist on kissing him goodbye. 'Don't be late tonight, Frank, I'm cooking 'Mixed Grill." The saloon bar in the Avondale is full of the normal throng of lunchtime drinkers. 'Go on, one more won't hurt. I'll drop you back at the depot by quarter to.' This was Bob, one of the depot van drivers and a regular drinking acquaintance. Frank studies the young woman sitting across the other side of his desk. 'Not bad, not bad at all,' whispers his inner voice, as his eyes appraised with the expertise of a serial womaniser. A few minutes after the young woman had left, Bob, the Managing Director, stands framed in the doorway. 'Don't tell me you're taking her on, Frank,' he says, lighting his pipe. Frank stares at the empty doorway for several seconds after Bob made his exit. He frowns, wondering if it was Bob's pre-emptive overruling of his employment decision, which undermined his authority, or the fact he had lost a possible prospect for a dalliance. Frank takes a circuitous route home. Helen's instruction that he should not be late plays repeatedly in his mind. But he needs to make a phone call, one that could not be made from the office in case it was overheard, and not from somewhere where someone might see him and wonder what he was up to. He drives to the next town and stops at the Red Lion where he knows a coin operated phone booth outside the gents offered the prospect of a private conversation. Leslie Jones is an avid reader but new to the writing game – Spiral is his first novel. His job, which involves teaching leadership & management and HR qualification programmes in the Middle East, means that he is abroad for a week or two most months. Using down-time productively opened the door to writing. 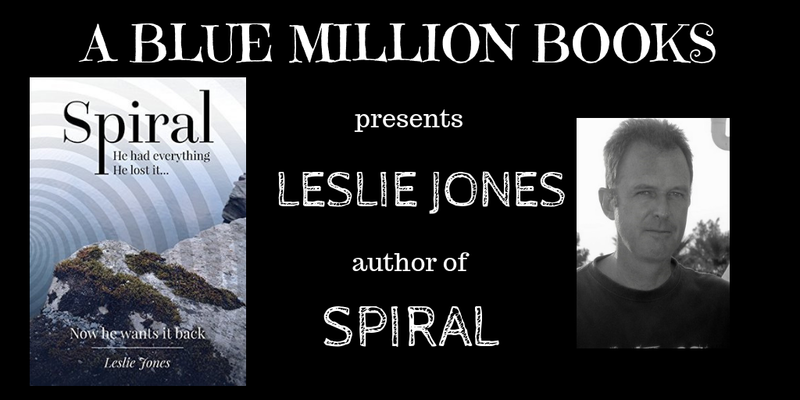 Leslie is a baby boomer – and aimed Spiral at that generation, writing in such a way as to appeal to those who can remember the joy of reading library books – perhaps a slightly old-fashioned style – or perhaps retro! After a lengthy career as a naval officer, Leslie’s career followed an erratic path through event management, management consultancy, operational management, and finally learning and development. Leslie is married and lives in beautiful West Sussex with his wife, Jean, and their (adult) daughter Chloe, who has learning difficulties, as well as their Golder Retriever, Darcie. He enjoys staying fit, sailing his veteran dinghy on the local reservoir, and coarse fishing.